Not long ago, Ancestry.com added a new feature to their DNA services, where for an additional $10 they will analyze your existing DNA sample for certain genetic traits. It's not nearly as extensive as that offered by 23andMe, but for $10 I thought it worth checking out. The verdict? Interesting, of questionable use, somewhat confusing, and mildly amusing. I'm posting our results for the few family members who might be interested, and for anyone else who wonders what the $10 will get you. Sometimes your trait doesn't match what your genes say—that's totally normal. Genes don't always tell the whole story. What the Ancestry.com Traits testing told me I can often confirm—but not always. They hedge their conclusions with "probably" in most cases. I've listed what Ancestry says, followed by my commentary. In some cases this may be more information than you want to know; you have been warned. Cleft Chin Yes. I see no evidence thereof. Maybe too small to notice. Finger Length Index finger longer than ring finger. Maybe. It's hard to measure, and harder still when fingers are affected by arthritis. Earlobe Type Attached. I can confirm that. Earwax Type Wet. This one is more complicated than they make out, I'm certain. The two types are "Wet and sticky, yellowish to brown in color)" and "Dry and flaky (gray to tan in color)." Ancestry says, "Dry earwax is common in Asian and Native American populations. Just about everybody else has the wet variety. But in practice, I—with no measurable Asian or Native American ancestry—have primarily what they describe as "dry." But not exclusively: occasionally it's more like the wet, though not sticky, and nothing like that of others I know whose earwax is clearly of the wet-and-sticky variety. So there's a lot more going on here than a single genetic marker. Eye Color Light eyes. No surprise there—blue. Freckles No freckles. They got this right, too. Hair Color Lighter hair. Yep. Not now, but I was blonde as kid. My optometrist confirmed that: I have a blonde fundus. Even Miss Clairol can't fool an eye doctor. Hair Strand Thickness Average. I suppose so. Never thought about this one much. The gene variant for "thick hair" is "almost nonexistent in people of African and European descent," so when the hairdressers tell me (as they frequently do), "You sure have thick hair!" they must be talking about something else. Iris Patterns I should have furrows, crypts, and rings in my irises. I'll take their word for it; I find it hard to tell, though my irises are certainly more complex than I thought. Male Hair Loss Low chance of hair loss. Too bad we didn't have sons; I hope our daughters inherited the gene (which their father has, too) and passed it on to their sons. Skin Pigmentation Light to medium skin tone. No surprise here. Unibrow Yes. Oops, they got that one wrong. When your body digests asparagus, it produces a chemical called asparagusic acid, which breaks down into compounds that contain sulfur, which is notoriously stinky (think rotten eggs). Some people can smell this in their urine after eating asparagus; others can’t. I'm inclined to think that the new theory is wrong, since I cannot smell the distinctive odor in my own urine after eating asparagus, and neither can Porter. You might think that the quantities of asparagus eaten make a difference, but even when I eat a lot, we don't notice the smell, and when Porter eats the tiniest amount of asparagus, we both know it! So we can both smell it, but as far as we can tell, only he produces detectable "asparagus pee." Sweet Sensitivity More sensitive to sweets. If this is true, I taste sweet flavors more intensely than people without this variant. Maybe. I do find that baked goods like cakes and cookies can do with a lot less sugar than the recipe calls for. But that doesn't change the fact that I love sweetness! Savory (Umami) Sensitivity Less sensitive to umami, or savory flavors. Maybe this is why I never get "Chinese restaurant syndrome." I love the "umami" flavor in foods, but am not noticeably sensitive to monosodium glutamate (MSG). I'll give an abbreviated version of Porter's results. For some reason, he has one more trait (Birth Weight), added recently, which I don't see in my results yet. Birth Weight average-sized newborn. His birth certificate doesn't have birth weight information, so we'll probably never know. Cleft Chin Yes. Wrong—as far as we can tell. Finger Length Index finger longer than ring finger. As far as he can tell, they are the same length. Eye Color Light eyes. Right—hazel. Hair Color Darker hair. Right. Hair Type Naturally wavy hair. Wrong. Hair Strand Thickness Average. Probably right. Iris Patterns He should have furrows and rings in his irises. Who knows? Skin Pigmentation Light to medium skin tone. Right. Asparagus Metabolite Detection Yes. Right. Bitter Sensitivity No. Probably right. Sweet Sensitivity More sensitive to sweets. Savory (Umami) Sensitivity Less sensitive to umami, or savory flavors. Verdict? I don't see any use for it, but it was a fair $10 (each) worth of entertainment, to have done once. Coming up? We grabbed a set of 23andMe tests on a Black Friday special, and finally sent them in recently. We'll see if they're any more enlightening. Of course, I know that for many people the cost barrier is not money, but privacy issues, so I would never pressure anyone into DNA testing. It took me a LONG time to get to the point of being willing. But if you're interested, now's a good time. My areas of interest and research include, but are not limited to, surnames Langdon, Wightman, Smith, Porter, Bradbury, Barbe, Faulk, Davis, Wood, Tinker, Cunningham, Kemp, Bristol, Reuterberg, Wells, Chamberlain, Daley, Hofferbert, Landeen, Stücklin, and Westfall. My tree is private, but will show up in Ancestry searches, including AncestryDNA. If there's something that interests you, please contact me. I'm happy to share ideas and sources with those who ask. The tree itself is a work in progress. It is as accurate and as well documented as I have been able to make it thus far, but that doesn't make it right. Again, please contact me for sources and draw your own conclusions. I have sources for just about every person and fact in my tree. My work is done primarily in RootsMagic, which I sync as well as I can with my Ancestry tree. Unfortunately, Ancestry makes a mess of the sources, so I don't upload them, if I can avoid it (I can't always). Ancestry also hides the general notes I have for people in my RootsMagic tree, and that's where I put a lot of information—another reason to contact me about specific people. 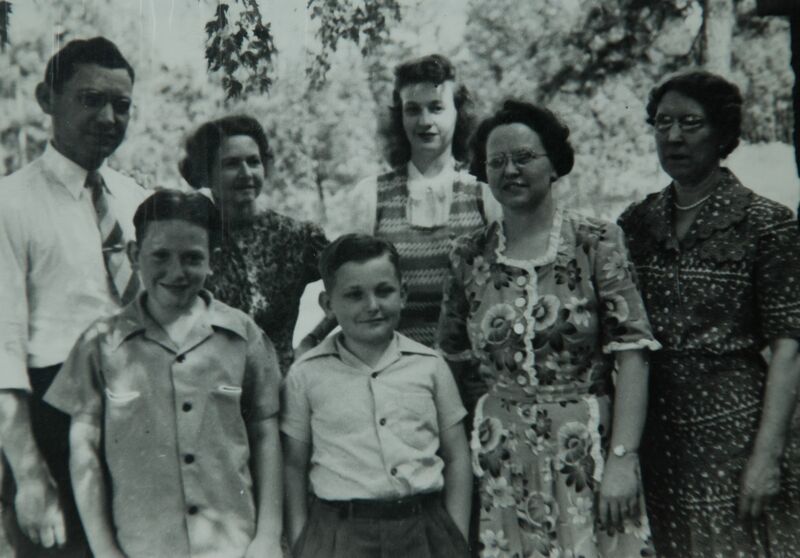 Front row: William Davenny, Richard Davenny, Nina (Bradbury) Davenny, and an unknown woman, possibly Frances (Langdon) Hill. Based on my best guess as to the ages of the boys, I think the photo was taken around 1945, probably in Spokane, Washington. What do you say, Internet? Is there someone out there searching on these names who will recognize any of these folks? Fear not, Faithful Readers, I don't expect more than one or two of you to read all the way through this 6000+ word post. Even the genealogists in the group will skip the details of the Sources and Data sections. But they're there, not only for my own present thinking and future reference, but also for the curious Internet searcher who might find something helpful. If you read through the beginning, just after the chart you will find a link that will take you directly to the more generally interesting Questions and Conclusions section. A brief summary of the specific genealogical conclusions is at the very end. The wife of David Wood, Jr.—whose father I wrote about in The Problem of David Wood—was Mercia (or Mercy) Davis. One of the genealogists at the New England Historic Genealogical Society looked at my list of surnames and sighed, “I would rather have Smiths in my line than Davises.” I have both Smiths and Davises; while Smiths aren’t easy, I quite understand his point. As an example, and to introduce this problem, consider the following excerpt of a brief church history given in the Register of Cohansey Seventh Day Baptist Church, Shiloh, New Jersey, 1737-1830 by Ernest K. Bee, Jr.
[The Cohansey church was formed in 1737.] Rev. Jonathan Davis, he was nephew to the forementioned Jonathan Davis of Trenton and took the care of the Church at their incorporation in 1737 and continued in the care thereof to his death in Feb. 2, 1769. … His wife was Esther Ayars, by whom he had children Jerman, Jonathan, Elnathan, Isaac, Edeth, Elijah & Naomi…. Mr. Davis died in the 60th year of his age, his successor was Rev. Jonathan Davis. He was not of the Same family with his predecsor, but son of the Rev. David Davis that lives at Newark in Delware State where he was born July 7th, 1734: he was … ordained in the Church Nov. 13, 1768…. He marryed Margret Bond of Nottingham by whom he had Children Ann, Samuel, David, Ammi, Sarah, Richard and John…. The problems begin with Elnathan. Brig. Gen. William Church Davis, The Ancestry and Posterity of Joseph Davis (1773-1865) of Norway, NY, and His Wife, Elizabeth Hallock Davis (1784-1851) (Walton, NY: Press of the Reporter Co., 1927), pp. 9-20. Available online at Ancestry.com and HathiTrust.org, https://catalog.hathitrust.org/Record/005730242. Ancestry.com. The Church Records of the Presbyterian Church of Lawrenceville [database on-line]. Provo, UT: Ancestry.com Operations Inc, 2004. Frederick Lewis Weis, The Colonial Clergy of the Middle Colonies: New York, New Jersey, and Pennsylvania, 1628-1776 from the American Antiquarian Society website, http://www.americanantiquarian.org/proceedings/44539283.pdf. George Rogers Howell, The Early History of Southampton, L. I., New York, with Genealogies, second edition, revised, corrected, and enlarged. (Albany, New York: Weed, Parsons and Company, 1887). Jeannette Edwards Rattray, East Hampton History: Including Genealogies of Early Families (East Hampton, N.Y, 1953), pp. 262-263. O. E. Monnette, First Settlers of ye Plantations of Piscataway and Woodbridge: olde East New Jersey, 1664-1714, a period of fifty years (Los Angeles: The Leroy Carman Press, 1930). “The Founders of Hartford,” from the Society of the Descendants of the Founders of Hartford website, copied 18 March 2018, http://foundersofhartford.org/founders/davy_fulke.htm. Linda Moffatt, compiler, “Fulke Davis of East Hampton and Jamaica, Long Island,” from Papers by Warren Skidmore on descendants of Reginald de Scudamore, eldest son of Ralph the Domesday tenant. 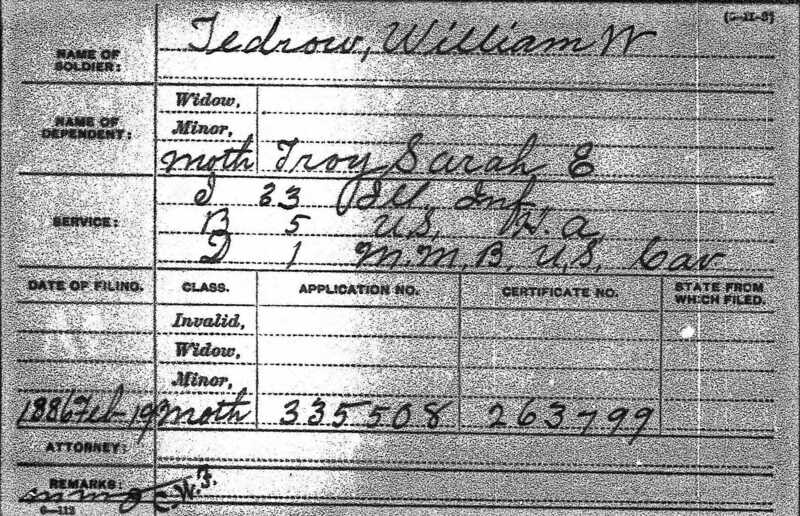 Source: http://www.skidmorefamilyhistory.com/Reginald%20papers%20compilation.pdf, pp 84-85. Original source: East Hampton (Long Island) Town Records, Book A, pages 74-6. “Fulke (Ffulke, Foulk) Davis” at Long Island Surnames website, https://longislandsurnames.com/getperson.php?personID=I2520&tree=Mather. Francis Bazley Lee, Genealogical and Personal Memorial of Mercer County, New Jersey (New York & Chicago: The Lewis Publishing Compnay, 1907). Available online at Google Books, https://books.google.com/books/about/Genealogical_and_Personal_Memorial_of_Me.html?id=6tcMAAAAYAAJ. Gilbert Cope, Genealogy of the Sharpless Family Descended from John and Jane Sharples, Settlers Near Chester, Pennsylvania, 1682: Together with some account of The English Ancestry of the Family, including the results of researches by Henry Fishwick, F.H.S., and the late Joseph Lemuel Chester, LL.D. ; and a full report of the bi-centennial reunion of 1882 (Philadelphia: For the family, under the auspices of the Bicentennial committee, 1887). Available online at Ancestry.com and the Internet Archive, https://archive.org/stream/genealogyofsharp00cope/genealogyofsharp00cope_djvu.txt. Ancestry.com. History and genealogy of Fenwick's Colony [database on-line]. Provo, UT: Ancestry.com Operations Inc, 2005. Original data: Shourds, Thomas.. History and genealogy of Fenwick's Colony. Bridgeton, N.J.: George F. Nixon, 1876. T. H. Breen, Imagining the Past: East Hampton Histories (University of Georgia Press, 1996), pp. 121-137. Available online at Google Books, https://books.google.com/books?id=2oyC98E09lMC. Helen A. Titus, Maidenhead: the Early Days. (Trenton, New Jersey: Lawrenceville Tercentenary Committee, 1964). Available online courtesy the Lawrence Historical Society, at http://www.thelhs.org/newsletters/maidenhead.pdf. Morgan Edwards, Eve B. Weeks, and Mary B. Warren, Materials Towards a History of the Baptists (Danielsville, Georgia: Heritage Papers, 1984). Ancestry.com. New Jersey, Abstract of Wills, 1670-1817 [database on-line]. Provo, UT, USA: Ancestry.com Operations, Inc., 2011. (Original data: New Jersey State Archives. New Jersey, Published Archives Series, First Series. Trenton, New Jersey: John L Murphy Publishing Company). Ethel Stroupe, “Origins of the Jersey Settlement of Rowan County, North Carolina: First Families of Jersey Settlement,” from Sons of DeWitt Colony Texas website, http://www.sonsofdewittcolony.org/mckstmerjersey. Downloaded 18 Mar 2018. Josephine C. Frost, editor, Records of the Town of Jamaica, Long Island, New York, 1656-1751. (Brooklyn, New York: Long Island Historical Society, 1914). (Available online at HathiTrust, https://babel.hathitrust.org/cgi/pt?id=yale.39002006199039;view=1up;seq=7). Ernest K. Bee Jr., Register of Cohansey Seventh Day Baptist Church, Shiloh, New Jersey 1737-1830 (Plainfield, New Jersey: Seventh-Day Baptist Publishing House, 1976). Various Internet sites of more or less credibility, rife with speculation, but useful for indicating directions of research. Wikipedia contributors, Wikipedia: The Free Encyclopedia: “Lawrenceville, New Jersey,” https://en.wikipedia.org/wiki/Lawrenceville,_New_Jersey. Stuart Hotchkiss, “Witches of Long Island,” from Brooklyn Genealogy Information Page website, created in 1997 by Nancy E. Lutz, hosted by Steve Morse, http://bklyn-genealogy-info.stevemorse.org/LI/WitchesofLongIsland.html. The first minister of the Sabbatarian order, who preached in this neighbourhood and in that of Trentown, was Rev. Jonathan Davis, uncle to the Jonathan Davis who was the first minister for the church of Shiloh, and the 120 families which belong to it, may consider him as their founder and father. He died at Trentown about the year 1750, in the 75th year of his age. He, and his brother Elnathan Davis, are said to have settles at Trentown near the beginning of this century; and to have emigrated thither directly from Long-island, but originally from Wales: if so, he might be the son of one of the three Davises who came to Swanzey in 1662, and who emigrated thither from Glamorganshire, in the company of Rev. John Miles: he could not be one of the emigrants; for he was born May 15, 1675. In 1697 Thomas Revell sold 1,050 acres (in the center of the township) to Johannes Opdyke, a Penny Town (Pennington) area soon settled by inter-related Presbyterian families from Newton (Elmhurst), Queens, Long Island. In January 1675/7 the will of Ralph Hunt, Sr. was proved at Newton. In 1698 his sons, Ralph, Jr., Samuel, daughter Ann and husband Theophilus Phillips, and daughter-in-law Johanna (widow of John Hunt) had deeds in Maidenhead (Lawrence), N.J., where they joined the Presbyterian Church…. That same year, Jonathan, Samuel and Elnathan Davis were members of Burlington's Presbyterian Church. [On January 21, 1698/9, a deed from Jonathan Davis "husband man" was transferred to his brother Samuel Davis "weave', both of Maidenhead, 20 acres at the head of his preceding 100 acres north of town, adj. on the west by Elnathan Davis. New Jersey Records, Liber B, H:656]…. Hannah Davis (b. c1715) who named a son Eldad in 1738, was probably daughter of Eldad Davis. These Davis - Reeds were Baptists and perhaps related to the Jonathan Davis who in 1708 came to Burlington's Court seeking to be qualified as a Baptist preacher according to the Act of Toleration, asking permission to preach in a house, which was how the Hopewell Baptists met at this time. JONATHAN DAVIS, b. Swansea, Mass., 15 May 1675; preached at Trenton, N.J., 1737-1750; Bapt. ; d. Trenton, N.J., 1750, a. 75, s.p. JONATHAN DAVIS, b. 1710, son of Elnathan Davis; sett. Cohansey (Cumb.) N.J., Chh. at Shiloh, 27 Mar. 1737-1769; 7th Day Bapt. ; d. Shiloh, Cohansey, N.J., 2 Feb. 1769, a. 59. Side note: Part of the above quotation, from “This Jonathan Davis…” to the end, was added, in pencil, to the original manuscript. The editor of this source says the penciled annotations are the work of an unnamed later researcher. Based on extreme similarities between some of these notes and the words of Materials Towards a History of the Baptists, I propose that this unknown researcher was none other than Morgan Edwards himself. Elnathan Davis was born at Shiloh in the year 1785, and was the son of Rev. Jonathan Davis, one of the original constituents and first pastor of the Seventh-Day Baptist Church at that place, and was a grandson of Elnathan Davis, who settled at Trenton about the close of the seventeenth century. The family came from Wales to Massachusetts in 1662, in company with Bowen, Bacon, Barratt, and others, some of whose descendants settled in this county. Fulke Davy sold his house and lot to Nathaniel Ward before Jan., 1639-40, and probably removed from Hartford; he witnessed a grant from Jas. Fasaett to Lion Gardner, of Isle of Wight March 10, 1639-40; signed the petition from Jamaica, Middleborough, and Hempated, L. I., to be taken under Conn. government. Davis is a Welsh name, but before the 1600’s had been distributed throughout the British Isles; without further evidence, we can’t be certain whether someone of that name came from Wales or some other part of that land. Foulk Davis was the founder of the Long Island Davis family. Lion Gardiner, from the Saybrook settlement in Connecticut, colonized Gardiner’s Island (now in New York) and later founded East Hampton, Long Island. Foulk Davis was born in Wales or England, probably about 1615, and died in Jamaica, Long Island, N.Y., about 1687. He married, 1st (name unknown), probably about 1639, and 2nd, Mary Dayton, a widow, about 1660. His known children, all by his first marriage, were Benjamin, Joseph, Samuel, Jonathan, Sarah, and John. Foulk’s son Samuel was born, probably after 1642, at Southampton, and died 1692 at Jamaica. He married Mary (surname unknown), who survived him. of this my act and dede I have hereunto set my hand. Mary Davis also bought 300 acres here about 1690. These lands lay east of what later became the village of Maidenhead (now Lawrenceville)…. Maidenhead was originally part of Burlington County, then Hunterdon County, finally Mercer County. It is near Trenton. It is established that Jonathan and Elnathan Davis came to the Trenton, New Jersey area from Long Island around the very end of the 17th century. Jonathan is fairly well documented, thanks to his renown as a preacher. Elnathan is more of a mystery, however, as are the origins of both brothers. Who was Elnathan Davis? When was he born, when did he die, who was his wife? Who—besides my sixth great grandfathers Jonathan and Samuel—were his children? We have the names of at least five of his sons, thanks to the fact that his brother Jonathan died childless, and left his estate to his nephews. But for Elnathan himself I have found no will, no information on his birth or death, nothing about whether or not he stayed in the Trenton area or moved elsewhere. According to History and genealogy of Fenwick's Colony, he was the “Surveyor General of New Jersey”—just what that meant in those early days, I don’t know, but that he was a respected surveyor I find believable, as he passed his surveying skills on to at least one grandchild and several great-grandchildren. The suggestion is widespread that the name of Elnathan’s wife was Hannah Housely, but of proof, or even a credible source, I’ve seen nothing. Perhaps a visit to the New Jersey archives will reveal something, or eventually something more definitive will become available in a library or online. But for now, his wife—and any other children besides the five sons named in his brother’s will—remain a mystery, as will the circumstances of his birth and death. I’ve had more success with discovering the previous history of Jonathan and Elnathan Davis. An early resident of Long Island, by the improbable name of Fulke Davis (or Foulk, Ffulke, Fulk, Ffulk, and other variant spellings), has been suggested as the ancestor of Jonathan and Elnathan. The name is Welsh, but Davises were spread throughout the British Isles by that time, so it can’t be ruled out that he or his ancestors were actually from England. If the name is odd, apparently his character was worse, judging from the stories about him that can be found online. Most modern commentary seems to treat his sins lightly, but reading transcriptions of the original court records for the small Long Island settlements where he resided indicates that Fulke Davis was, shall we say, the James Levine of his day, but without the great music. I’ve posted the sources, but not excerpts, to avoid giving this post an X rating. Wading through those court records was difficult, and not solely because of the old language and casual attitude toward spelling. I couldn’t read much without wanting to take a long shower. Instead, they reveal the dangers of fallen humans setting themselves up as a theocracy. Tale-bearing, backbiting, and taking one another to court were apparently rampant. Accusations of witchcraft, illicit sexual behavior, and other real or imagined crimes could easily land you in court—good for future genealogists but bad for you and your relationships with your neighbors. Fulke’s wife (probably his second, and not our ancestor) was a primary witness in one famous witchcraft trial, which revealed her to be a rather unpleasant person herself. To be fair to our forebears, we can’t claim to be any better. A glimpse of our own society seen through the lens of court documents would be far worse, and in the 21st century we have shown ourselves just as ready as in the 17th to gossip and accuse and participate in witch hunts. But it was painful reading, and I’m glad to leave behind speculation about the character of Fulke Davis, his family, and his neighbors, and move on to genealogical gleanings. One of the founders of the Hartford, Connecticut, was named Fulke Davy. Not much seems to be known about him, but the following suggests that he is one and the same with the Fulke Davis who first appeared in Southampton, Long Island, around 1642. Note that this contradicts the widespread belief (in my sources and many others I did not include) that the forebears of Jonathan and Elnathan Davis came to Long Island from Swansea, Massachusetts, where they had settled in the 1660’s—and in particular that Jonathan was born in Swansea. Nonetheless it is very suggestive. Fulke Davy sold his house and lot to Nathaniel Ward before Jan., 1639-40, and probably removed from Hartford; he witnessed a grant from Jas. Fasaett to Lion Gardner, of Isle of Wight [later Gardiner’s Island], March 10, 1639-40; signed the petition from Jamaica, Middleborough, and Hempated [Hempstead], L. I., to be taken under Conn. government. Fulke later moved to East Hampton, possibly living for a while on Gardiner’s Island. From there he removed to Brookhaven, and finally to Jamaica (now part of Queens), where he died. Fulke Davis was possibly born in Wales or England about 1615, and died in Jamaica, Long Island, about 1687. He married, first, a woman whose name is unknown, probably about 1639, and second, Mary Dayton, a widow, about 1660. Mary Dayton, whose maiden name is unknown, had first married James Haines, then Ralph Dayton, before marrying Fulke Davis. Fulke’s known children, all by his first marriage, were Benjamin, Joseph, Samuel, Jonathan, Sarah, and John. It is likely there were several more. An important key to this puzzle comes from evidence that, around 1700, a Mary Davis was one of the first settlers of Maidenhead (now Lawrenceville), New Jersey, which is near Trenton. She came with three sons: Jonathan, Elnathan, and Samuel. Even though a brother Samuel was never mentioned by name in all the references I’ve found to the Jonathan and Elnathan Davis that clearly belong to my ancestral lines, it’s clear that these are the same people. lyinge together which makes a necke of land…. From this we see that the Mary Davis who moved to Maidenhead (then part of Burlington County), with sons Jonathan, Elnathan, and Samuel, came from Jamaica, Long Island, and was the widow of Samuel Davis. We can also assign possible birth years for Samuel (about 1777) and Elnathan (about 1779), based on Jonathan's birth year of 1775, the order in which Mary names her sons, and the fact that elsewhere she refers to Jonathan as her eldest son. It’s confusing, but the similarity of this description of the land owned by Samuel, the son of Fulke, with the land being sold by Mary, the widow of Samuel, convinces me that they are one and the same. Jonathan, Elnathan, and Samuel, then, are Fulke’s grandsons. If so, there are still some puzzling questions. First, the question of origin: From Wales or England to Swansea, Massachusetts, and thence to Long Island in the early 1660’s, or from an unknown immigration point to Hartford, Connecticut before landing in Long Island in the early 1640’s? Many who claim a Swansea, Massachusetts origin for Jonathan Davis say that he was a Baptist, possibly of the Seventh Day variety, from the start. Fulke was a Puritan, and a rogue. If he is the progenitor, how did Jonathan and Elnathan rise to become so successful, and to found a dynasty of Seventh Day Baptists? The first church established in Maidenhead was most likely Puritan in nature, but it soon became Presbyterian, and Jonathan, Elnathan, and Samuel were members. By 1708 Jonathan had become a Baptist preacher, and at some point after that converted to the Sabbatarian branch. Fulke Davis was possibly born in Wales or England about 1615. He may have been the Fulk Davy who was one of the founders of Hartford and moved soon thereafter to Long Island, although there is much tradition that the Long Island Davises came from Swansea, Massachusetts. There is a substantial tradition (partly backed by court records) that Fulke was not a pleasant person. He appears on Long Island first at Southampton, then in East Hampton, possibly living for a while on Gardiner’s Island. From there he removed to Brookhaven, and finally to Jamaica (now part of Queens), where he died in about 1687. He married, first, an unknown wife, probably about 1639, and second, Mary Dayton, a widow, about 1660. Mary Dayton, whose maiden name is unknown, had first married James Haines, then Ralph Dayton, before marrying Fulke Davis. Fulke’s known children were all by his first marriage. It is likely there were more. Benjamin Davis was born in 1640. He died on December 20, 1692 at the age of 52 in Southampton, Long Island. Joseph Davis was born about 1645 in Southampton, Long Island. He died in 1691 at the age of 46 in Brookhaven, Long Island. Jonathan Davis died in 1674 in Jamaica, Long Island. Samuel Davis (Fulke-1) was born about 1643 in Southampton, Long Island, and died in 1692, at the age of 49, in Jamaica, Long Island. He married Mary (surname unknown). After his death, his widow moved to New Jersey with their known sons to become some of the earliest settlers of Maidenhead (now Lawrenceville), near Trenton. Samuel Davis, born perhaps about 1677, lived in Jamaica, Long Island, and about 1690 moved to Maidenhead, New Jersey with his mother and two brothers. The Rev. Jonathan Davis (Samuel-2, Fulke-1) was born on May 15, 1675. He lived at Jamaica, Long Island, but about 1690, after his father died, he moved with his mother and two brothers to Maidenhead, New Jersey (near Trenton). He died between March 20, 1745 and April 17, 1746 at the age of 69 in Trenton, New Jersey. He was most likely a Puritan at first, then became a Presbyterian, and finally a Baptist preacher. Somewhere along the line he became convinced of the Sabbatarian way, and is considered the founder of the Seventh Day Baptist Church at Cohansey (Shiloh), New Jersey, though he was never officially their pastor. Jonathan was tall and fat, and thus was sometimes referred to as "the great high priest." He married Elizabeth Bowen, who was born on May 1, 1675, but they had no children, and he willed his property to his brother Elnathan's sons. Elnathan Davis (Samuel-2, Fulke-1) was born perhaps around 1677. He lived at Jamaica, Long Island, but about 1690, after his father died, he moved with his mother and two brothers to Maidenhead, New Jersey (near Trenton). He was a surveyor, and apparently became the Surveyor General of New Jersey. The name of his wife is unknown, although it has been suggested that she was Hannah Housely. They had at least five children; these are the five sons named in the will of his brother, Jonathan. The Rev. Jonathan Davis (Elnathan-3, Samuel-2, Fulke-1) was born about 1709. About 1731, in Cohansey, Salem County, New Jersey, he married Esther Ayars, the daughter of Isaac and Hannah (Barrett) Ayars. She was born about 1711 in Cohansey, and died after July 5 in Shiloh, Cumberland County, New Jersey. Jonathan was the first settled pastor of the Cohansey (Shiloh) Seventh Day Baptist Church, of which his grandfather Jonathan is considered the founder. He died on February 2, 1769. Samuel Davis (Elnathan-3, Samuel-2, Fulke-1) was born April 3, 1713. On October 13, 1735, in Cohansey, Salem County, New Jersey, he married Anna Ayars, daughter of Isaac and Hannah (Barrett) Ayars and sister of Esther Ayars, above. She was born November 9, 1713, in Cohansey, and died September 20, 1783 in Shiloh, Cumberland County, New Jersey. Samuel died between August 30, 1785 and October 31, 1785, in Stow Creek Township, Cumberland County, New Jersey. I can appreciate not being labelled simply as "white" as if some races have further identities but white is simply white. However, it sure complicates filling out the form, and I have my doubts about how much useful information it will generate. I know more about my ancestry than most Americans, and I can't answer this question. There simply is no room in those boxes to enter "English-German-Welsh-Irish-Scottish-French-Dutch." And if I manage to confirm the (currently quite speculative) Swiss branch, is that really Swiss, given that the family came to Switzerland from Germany? Is my French really French, given that it is actually Norman French, and the Normans were largely invading Vikings from Scandinavia? There's a good chance much of my English is also orignally Scandinavian—DNA testing suggests this as well—and my Scottish may have been originally Irish and vice versa. Given that my most recent immigrant ancestors came to this country in the 1700's, I think I'll fill in the blank with "American" and let the chips fall where they may. But I've only learned this information recently, after years of research. 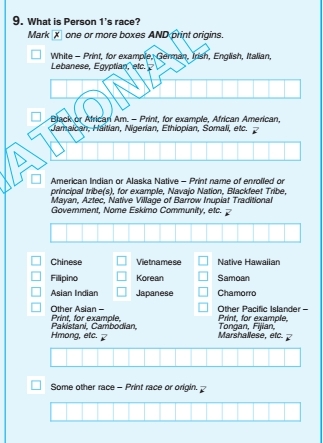 That kind of research is even more difficult for African-Americans, thanks to slavery and the "1870's wall," but at least the census offers "African American" as a choice—which just happens to fit exactly into the boxes allowed. I suppose I could try "European American"—but that won't fit. How many Americans know their ancestry further back than their grandparents, anyway? There's going to be a lot of guesswork going on.